The Children’s Ministry Leader can sometimes find themselves in difficult circumstances. Let’s be real – Children’s Ministry is not always viewed in the highest esteem by church leadership. Often times it’s viewed – implicitly or explicitly – as childcare. Because of this, and because of the way I’ve seen Children’s Ministry Leaders act before church leadership, sometimes our communication comes across like the guy in the cartoon to the right – “blah, blah, blah.” Completely ineffective and, frankly, never even heard or recognized. The Children’s Ministry Leader carries themselves and communicates can make a big difference, gaining influence with church leaders on behalf of the Children’s Ministry. 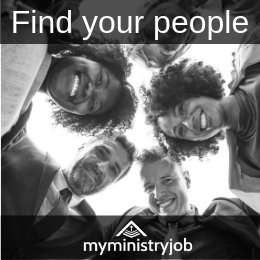 My first full-time ministry role was as Children’s Pastor for non other than John Maxwell. Yes, that John Maxwell, guru of leadership. Can I tell you that I cringe as I remember how I acted when I was initially around him? I’m sure my natural shyness and complete lack of understanding of leadership at the time came forth in every conversation. I’m not sure how I lasted there, but my hunch is that, as I intentionally tried to implement his teaching on leadership, I was able to begin carrying myself as a leader. It means contributing to the leadership conversation. It means speaking with confidence. It means engaging with other leaders around you. It means coming to the table with ideas. It means asking questions and proactively seeking solutions. It means intentionally aligning your own leadership with the leadership you follow. Trying to be someone you are not is a relationship killer. Be respectful, but be real with your leadership. Of course, as you start out you are learning the natural boundaries, but ultimately you are you, so be you. Relax, enjoy the development of the relationship, seek to understand them and realize that they are human, just like you are. “But they keep things on a very surface level”, you say. I understand. That doesn’t mean that you have to. And, while you may never go very deep in your relationship, don’t assume that you can’t and never try by not being real with them. Expect “real” on both sides until it’s proven otherwise. One of the best things you can do to enhance your connection with your leadership team is to simply do your job well. As you lead well, your credibility across the board (including with church leadership) will increase. This enhances communication and connection as you have opportunity to engage with them. Be succinct. In most cases, leadership is very busy. Depending on how much they value your area and your role, you may or may not get a lot of time with them. In one church, I had 4 face to face meetings with the Senior Pastor…in 4 years. You better believe I knew exactly what I wanted to talk about and how I wanted to say it – succinctly! Be positive. 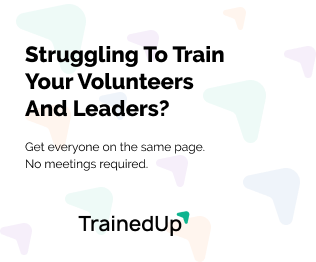 Frankly, church leadership doesn’t want to know that you can’t find enough volunteers! You may need to present challenges to leadership, but always frame it positively. Do not dump on them! Communicate with stories. Facts and figures are fine, but they don’t energize or communicate vision. Stories do. So instead of telling them how many kids made decisions at VBS, tell them a story of one or two and drop in the total number within that story. Instead of telling them you had so many kids respond for baptism, tell them a heartfelt story of one. Instead of telling them you need to develop an equipping ministry for parents, tell them a story that illustrates why. This follows closely with communicating effectively and being positive. In reality, church leadership don’t have time for most of the problems you are facing, nor should they feel responsible for them. That’s your job! So instead of bringing the problem to them seeking a solution, solve the problem and let them know how you did so. Believe me, if they think it should go in a different direction, they will let you know. And, if it’s a problem you feel they must weigh in on before you move forward, bring several possible options (solutions) to them rather than just stating the problem. Connecting with church leadership is vital to the success of your ministry. You can’t do it alone, and the greater the connection, the greater the support. The greater the support, the greater the possibilities of succeeding in so many areas you are trying to grow your ministry. How have you connected with church leaders?